Moneysupermarket.com has debuted the Hasbro action figure Action Man as the new star of its ad campaign, launching on Saturday. The 60-second ad, created by the brand’s outgoing agency Mother, opens with the classic action figure taking cover in mountainous terrain and telling his comrades via walkie-talkie that he feels "epic" after saving at Moneysupermarket. Action Man then abandons his post and begins dancing in the desert to the 1990s track Finally by CeCe Peniston. He rallies his troops to join him in the celebration, with guest appearances from Action Man Astronaut, Action Man Cricketer and Action Man Polar Explorer. The drama ends with Action Man stripping off his army uniform to reveal his famous blue underpants and dangling from a helicopter. The ad will premier during Ant and Dec’s Saturday Night Take Away on ITV1 tomorrow (10 March). It was directed by Tom Kuntz through MJZ and the brand partnered with licenser Hasbro for the campaign. Moneysupermarket.com has not confirmed whether this will be the last ad made by Mother. The price comparison site said this week it was splitting with the agency after seven years and conducting a review through AAR. It expects to choose a new ad agency by June. 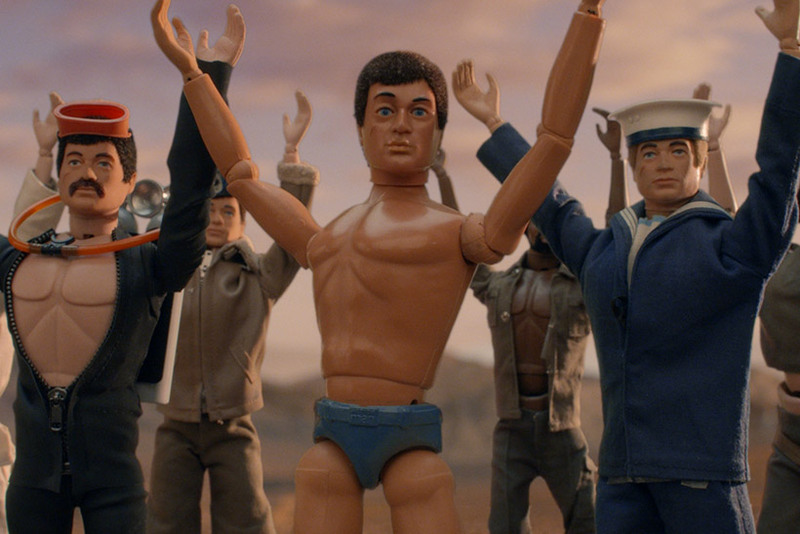 Darren Bentley, the marketing director at Moneysupermarket.com, said: "Action Man is the fourteenth character to ‘save money and feel epic’ in our long-running campaign and we hope viewers are as surprised and delighted by his dance moves as we are." Mother partner Hermeti Balarin added: "Every time one of these come out, they get talked about more than the programs they interrupt. That’s why this campaign has been epic. We loved to have bowed out on a high." Last year Mother made ads for Moneysupermarket.com starring 1980s Masters of the Universe characters Skeletor and He-Man.